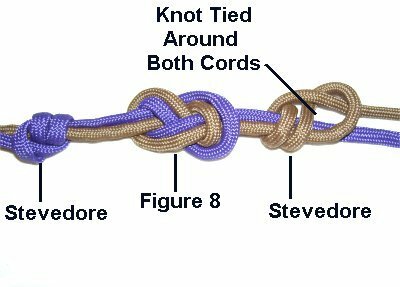 Description: The Stevedore Knot is considered a stopper knot because it prevents the cord from slipping out of another knot. It's also used to prevent the end of the cord from unraveling. 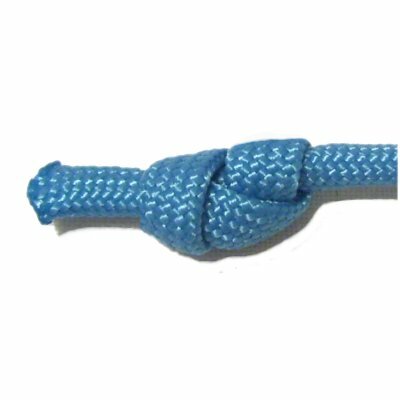 This knot is used in Macrame to finish the ends of cords in the final steps, or for preparation. It's a good way to prepare cords that are slippery, such as when you use Parachute cord or Satin (nylon). This is a great knot to use when making fringe, since it has a strong hold and does not untie easily. Since it can be tied anywhere on a cord, you can also use it just for decoration. 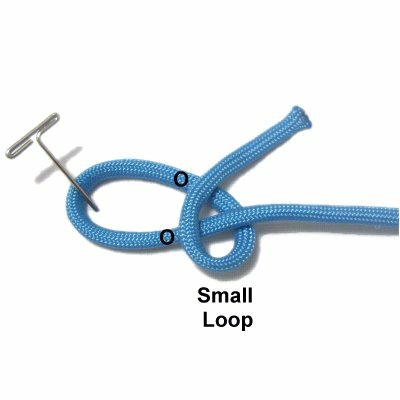 The Chinese Step Knot is an expanded variation of the Stevedore knot. 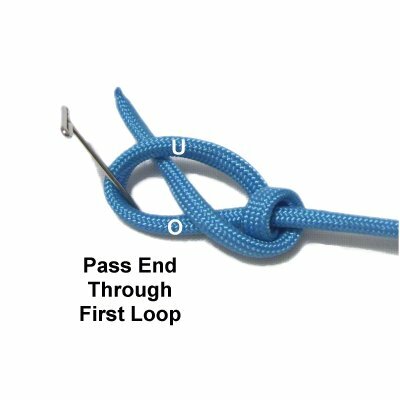 Click on the image or link to learn how to tie it. Step 1: You need one piece of material, at least 12 inches long. Secure it on the right. Make a clockwise loop 4 - 6 inches from the end of the cord. 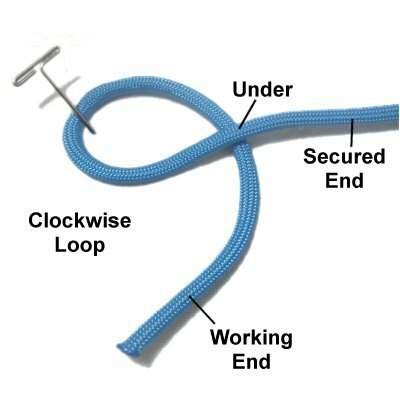 Pass the working end under the secured end to complete the loop. Step 2: Make another clockwise loop, passing over both sides of the first loop. This loop should be small, and rest close to the crossing point of the first loop. Step 3: Still moving clockwise, pass the working end under the secured end of the cord. Tighten the small loop slightly, so you have enough material for the next step. Step 4: Bring the working end through the first loop, passing over - under as shown. Step 5: To tighten, pull both ends gradually, sliding the two loops toward each other. You can now finish off the tip of the cord in the manner most appropriate for your project. 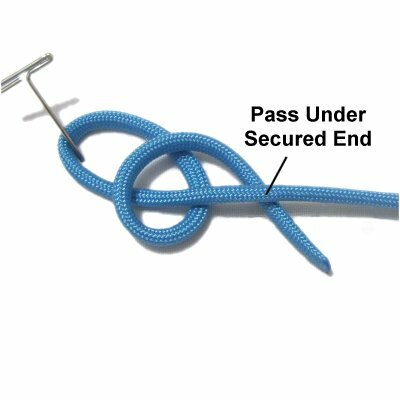 This knot is often used to prevent other knots from untying. In this image, the knot was tied on both sides of a Figure 8 knot. Have any comments about the Stevedore Knot? Contact Me.